The sayyid, the valiant Imam, the proof of Allah amongst creation, the elucidator of the straight path of religion and Islam, the suppressor of disbelievers and heretics, a model of the righteous caliphs and the guided Imams, our master, the Imam, the warrior (mujahid), the martyr, the fortunate, Ahmad ibn ‘Irfan ibn Nur al-Sharif al-Hasani al-Barelwi. He was from the offspring of the great emir, the full moon of religion, Shaykh al-Islam Qutb al-Din Muhammad ibn Ahmad al-Madani. He was born on Safar of 1201 H (1786 CE) in the city of Rae Bareli at the Zawiyah of his ancestor Sayyid ‘Alam Allah al-Naqshbandi al-Barelwi. He was brought up with complete care and attention, and with moderation in clothing and eating. He remained on that [upbringing] as a righteous successor, upright and god-fearing, scrupulous, worshipping, devout, fasting, praying, remembering Allah Almighty in all affairs, turning to Him in all states and standing by His boundaries, His commandments and His prohibitions. His heart would find contentment in the service of widows and orphans; he would go to their homes and discover their needs, and he would [then] exert himself in drawing water, collecting firewood and acquiring the products from the market. But despite this he was not interested in acquiring the well-known sciences. Hence, he memorised only a few chapters from the Noble Qur’an, and of writing [he only learnt] the transcription of [some] words and phrases, and that was in three years. His elder brother Ishaq ibn ‘Irfan al-Barelwi was grieved by this so he took responsibility for his education. Thereupon, his father said: “Leave him to his affair, and entrust him to Allah (Exalted and Glorious is He),” so he left him. He remained like this until he gained great physical strength, whereupon he travelled to Lucknow with seven men from his family [seeking employment]. There was one horse on which they would take turns and he gave up his turn for them. When they reached the destination and needed a carrier to carry their load, they searched strenuously and could not find one, so seeing this, he said to them: “I have a need from you which I hope you will grace me in fulfilling.” They said: “Certainly!” He said to them: “Confirm your statements with oaths.” So they gave him their assurance. He said: “Gather your loads and place them on my head because I can bear them.” He carried them and entered Lucknow. One of the politicians met him and honoured him. [The politician] was instructed by the administration to gather a hundred horse riders for the army, so he delegated two duties from the military duties to him. However, he wilfully gave them up to two of his travelling companions, while he travelled with the imperial armies. When he reached Badiyah Muhammad and the sultan wished to take a stroll and hunt, he became separated one day from his companions. They were heartbroken as they thought he was devoured by wild animals, whereupon a man from the village met them and related to them the story: “I saw a bright man, on whose forehead were signs of guidance and fortune, and on his head was a full load which he carried going about happily and with vigorous energy next to a knight from the army. The knight told [me]: ‘He found me on the road when I had a weak carrier who was unable to carry [my load] but with great difficulty, though he carried it for fear of me, so he began to cry and came to this man [i.e. Sayyid Ahmad]. When he interceded on his behalf, I said to him that I can’t carry this over my head, so if your heart has sympathy for him and you are grieved by his weakness then come forward and carry [it yourself], so he consented to this and carried it.’” His companions knew his habit so they recognised it was him. Then the love of jihad in the Path of Allah overcame him and he proceeded to the army of the emir, the warrior, Nawab Amir Khan, and stayed with him for several years. He would encourage him towards jihad, and when he saw that he was wasting his time in raids and was content with booty, and he knew that he resolved to make peace with the British and Hindus, he left him and returned to Delhi and he became firm in his resolve to aid the pure Sunnah and the way of the Salaf, and he argued with proofs and premises and unprecedented matters, and he used expressions which the predecessors and successors avoided and feared, but he alone had the courage to use them; until Allah elevated his lighthouse and united the hearts of the people of piety on his love and supplication for him, and He crushed his enemies and guided men of the misguided religions and sects, and He disposed the hearts of the emirs to submit to him and follow him. The first to enter into his pledge was Shaykh ‘Abd al-Hayy ibn Hibat Allah al-Burhanawi and Shaykh Isma‘il ibn ‘Abd al-Ghani al-Dihlawi and many people from the family of Shaykh ‘Abd al-‘Aziz. All this was in the lifetime of his shaykh. He went from Delhi with a group of supporters to Phalat, Lohari, Saharanpur, Godda Mokatsar, Rampur, Bareli, Shahajanpur, Shahabad and other villages and cities. A great multitude that cannot be counted by limit or number benefited from his gatherings, the blessing of his supplication, the purity of his breaths, the integrity of his intention, the purity of his outward and inward and the harmony between his speech and his knowledge and his turning to Allah (Glorified is He). In fact, a great many of the mashayikh resisted him with an endless resistance, calling him innovator, opposing him and belittling him, while he stood firm, not endeavouring to make peace [with them] or be partisan. He possessed courage, gallantry, and strength of spirit, placing him in difficult situations which Allah then removed from him. He was constantly in devotion [to Allah], frequently seeking [His] help, strong in reliance [on Allah] and not easily angered. He had practices (ashghal) and litanies (adhkar) which he would always maintain with feeling and collectiveness in travel and residence. When he returned to his city of Rae Bareli, he married the widow of his deceased brother, Ishaq ibn ‘Irfan, and this was the first marriage with a widow amongst the higher class families of India, and then [this practice] passed down amongst them. 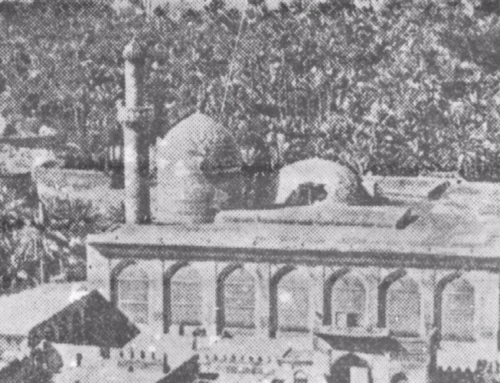 The aforementioned Shaykh Isma‘il ibn ‘Abd al-Ghani and Shaykh ‘Abd al-Hayy ibn Hibat Allah and a multitude of other ‘ulama’ and mashayikh from his followers took the spiritual path from him. He stayed in the city of Rae Bareli for a period. Then he travelled to Lucknow and he stayed there with Shaykh Pir Muhammad al-Lakhnawi by the bay of River Gomti with his disciples. Thousands of men pledged him allegiance. The minister Mu‘tamad al-Dawlah received him with [a warm] welcome and generosity and he hosted him, and he offered him five thousand coins. Sultan Ghazi al-Din Haydar, the king of Lucknow, almost met him, but the Shi‘ah feared he would change his sect so they plotted to stop [the meeting]. Then the sayyid and imam left Lucknow and toured the cities, and Allah benefited through him a great multitude of His servants. Then he returned to Rae Bareli and travelled to the Hijaz, and with him were 757 of his disciples. He rode the ship from Dalmiu from the states of Rae Bareli which is on the banks of the River Ganges. He rode and spent whatever little was with him of wealth on the poor, and he said: “We are the guests of Allah (Glorified is He). We do not take recourse to dinar and dirham.” He went and passed by Ilahabad, Ghazipur, Banaris, Azimabad and other cities of India, and a multitude uncountable by limit or number entered into his pledge, until he reached Calcutta and he stayed there for a few days by permission of the ruler of India. Thousands of people repented from innovations and sins and drinking wine, and the taverns became empty and a wave of righteousness and piety flowed over [the people], and hundreds of people became Muslims and perfected their Islam. Then he rode the ship and went to the Hijaz in the year 1237 H, and amazing visions, unveilings and miracles occurred to him in that fortunate and blessed journey, and a great multitude from the inhabitants of the two noble Sanctuaries benefited from him. He performed Hajj and Ziyarah, and returned after a year, and he reached Rae Bareli in the year 1239, and then stayed there for around two years. He sent the aforementioned Shaykh Isma‘il and Shaykh ‘Abd al-Hayy to many cities to counsel and guide, so they toured the cities and Allah guided by means of them a great multitude of the servants. The sayyid and imam was preparing for migration and jihad at this opportunity, so he came out with his disciples in the year 1241 H from his city and he travelled to the lands of Afghanistan. When he reached Panjtar he stayed there, and he encouraged the believers towards jihad, and he sent his disciples to Kabul, Kashgar and Bukhara to encourage their kings to participate and assist. Thus, the people pledged him allegiance for jihad and put him in charge of them, and thousands of men gathered under his banner. He fought against the armies of Rangit Singh, the king of Punjab, who was from the people with long hair [i.e. the Sikhs], so Allah (Glorified is He) opened many cities at his hands, until his name was recited in the [Friday] sermon in Peshawar. Allah elevated his lighthouse and He crushed his enemies, the enemies of religion, and He disposed the hearts of the emirs and rulers to submit to him and obey him. He revived many dead sunnahs, and he brought to death many polytheistic and innovated practices. Hence, the enemies of Allah and His Messenger became extremely bigoted towards him and his followers until they attributed his path to Shaykh Muhammad ibn ‘Abd al-Wahhab al-Najdi and called them “Wahhabis,” and turned to the disbelievers [for support against him] and became their allies in secret, until they betrayed him in the battle of Balakot. He attained the lofty rank of martyrdom, and he attained the highest lot from amongst his peers. His life ended on the 24th of Dhu al-Qa‘dah in the year 1246 (1831 CE), and many of his disciples were martyred with him. The people were divided over him, so some said he attained the rank of martyrdom and some said that he went into hiding and will emerge and fill the word with justice.1 In what they love, men adopt different paths. Many of his disciples compiled detailed books on his states and stations. From them is al-Sirat al-Mustaqim in Persian by both Shaykh Isma‘il and Shaykh ‘Abd al-Hayy, and the aforementioned Shaykh ‘Abd al-Hayy translated it to Arabic while in the Hijaz for the benefit of the people of the two noble Sanctuaries. From them is Manzurat al-Su‘ada by Shaykh Ja‘far ‘Ali al-Bastawi, a short book in Persian. From them is Makhzan Ahmadi by Shaykh Muhammad ‘Ali ibn ‘Abd al-Subhan al-Tuki. From them is Sawanih Ahmadi by Shaykh Muhammad ibn Ja‘far al-Thanesari. From them is al-Mulhimat al-Ahmadiyya by Mufti Ilahi Bakhsh al-Kandehlewi in which he sufficed with what reached him from him [i.e. 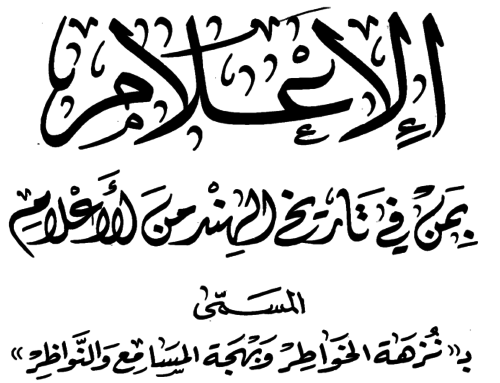 Sayyid Ahmad] of litanies (adhkar) and practices (ashghal). From them is Waqa‘i Ahmadi by Shaykh Muhammad ‘Ali al-Sadrpuri in several large volumes.